Another busy week of TV deployments aboard Alba na Mara for the Nephrops Underwater TV (UWTV) Survey. This weeks efforts were concentrated in the Firth of Forth where we managed a total of 56 TV stations and two fishing operations. Poor visibility meant an additional five stations were undertaken. This was down to a mix of tide, commercial fishing operations, and other marine traffic stirring up the sea bed. Plentiful burrows were viewed when the visibility allowed though. Highlights of the week include a small number of Minke whales at the mouth of the Forth estuary. Several were seen over the course of the morning but unfortunately we didn’t manage to get any pictures. 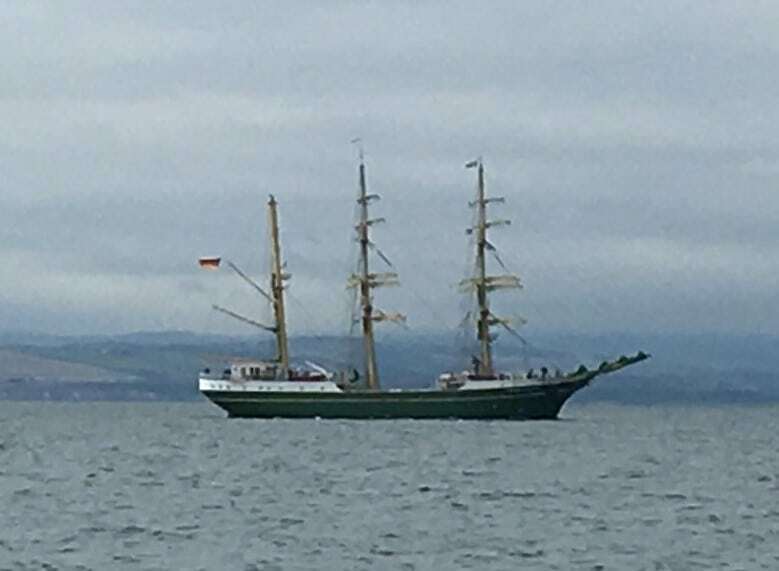 Among the busy shipping channel towards Leith we were lucky enough to see a wide variety of ocean going craft; oil and chemical tankers, cruise ships, and a German registered tall ship the ‘Alexander Von Humboldt II’. 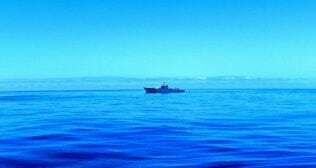 One of our stations brought us close alongside whilst she was at anchor so we did manage to get a picture of her.